Banjo Corporation prides itself on the ability to make quality transfer pumpsusing innovative designs, skillful engineering and precise manufacturing. 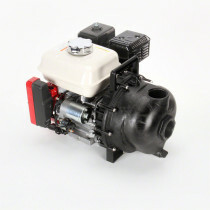 Available in two options on SpraySmarter.com, Banjo’s transfer pumps can be ordered in either polypropylene or cast iron finishes. The polypropylene pumps offer excellent resistance to corrosion and harsh chemicals. The cast iron pumpcollection is noted for its dependability and durability. Among the cast iron transfer pump collection, the 333 Series operates with electric motors; whereas, the three inch cast iron pump uses a hydraulic motor. 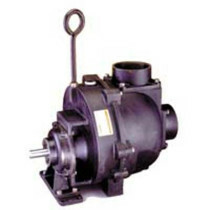 The durable construction of the cast iron pumps makes them dependable options. The three inch hydraulic driven transfer pump provides 21 HP with a minimum fluid capacity of 8 gallons and a maximum of 15 gallons. On the other hand, the 333 Series works at 15 HP. This pump is designed with a graphite loaded silicon carbide seal with a stainless steel cup and spring with FKM rubber. 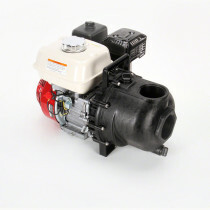 The polypropylene transfer pump collection offers both two inch and three inch options. The Banjo two inch electric start transfer pump operates using a 5.5 HP Honda engine that is a superior design featuring important qualities such as corrosion resistance, light weight and overall low maintenance. Beyond this, the three inch polypropylene Honda engine driven transfer pump utilizes 6.5 HP works at 300 gallons per minute and features the same corrosion resistance and portability of the smaller polypropylene transfer pumps. 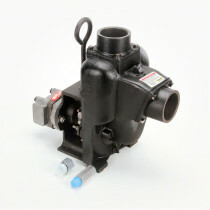 Banjo’s excellence in design and manufacturing make it an exceptional choice for transfer pumps. Whether you are looking for a cast iron pump or a polypropylene transfer pump, Banjo transfer pumps on SpraySmarter.com offer a variety of options.